Nokia Rajeev Suri, Director General spoke about the plans of the company regarding the return of the smartphone market. Recall that in the summer of last year the Finnish company announced about finding a partner, who would take over the production and sale of new devices. Under the agreement with Microsoft, Nokia will be able to re-use its name for the issuance of new phones in the fourth quarter of this year. Rajeev Suri said they thoroughly suited to the creation of new smartphones, because they do not want to simply “pinned” their logo on someone else’s product. “We do not just want to put our logo on the devices from other manufacturers they have to remind that Nokia, which was once known.” – Rajeev Suri said. Unfortunately, the company was unable to find a partner for the production of new smartphones under its own brand, but the head of the company says that haste in this case, absolutely no to anything. According to him, in 2014, Nokia has developed a plan of action for the decade ahead, to remain relevant. 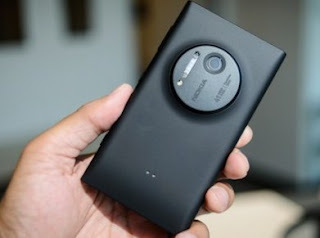 Most likely, this year wait for the return of the legendary Nokia is not worth it.